Allie Pence visits the Eiffel Tower while studying abroad. Photo courtesy of Allie Pence. Studying abroad is a big undertaking. Flights can be delayed or missed and alarms don’t wake you up. Once students get to their destination, classes only take up a small percentage of time and the weekends become jaunts to other countries. – Allie Pence, junior arts administration major, studied abroad in Nantes, France. – Jackson Borman, a junior strategic communications major, studied abroad in Madrid, Spain. Photo courtesy of Emily Jewell. “I took a trip to Paris and there were riots happening in the city. I got a firsthand experience of world news. All the metros were shut down for the day. We saw building that were broken into that were later shown on the news. I got to see the Eiffel Tower with all these barricades around it and no one there. You didn’t do anything touristy that day. 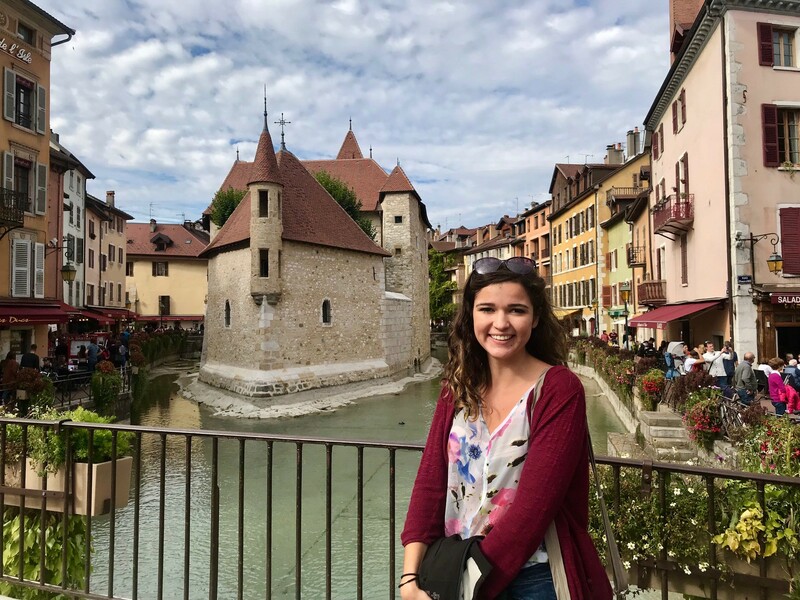 They stopped my bus and everyone was yelling in French.”– Emily Jewell, a junior communication sciences and disorders major, studied abroad in Alcalá de Henares, Spain. “I went to the Great Barrier Reef and they tell you to take anti-nausea medicine. I don’t get seasick. It was an hour and a half boat ride. I was snorkeling and actually threw up on the Great Barrier Reef. I slept on the boat for the rest of the day.”– Darian Reynolds junior marketing major, studied abroad in Sydney, Australia.